Leonard S. Black is CEO of Black Consulting Services, LLC of Orlando, Florida. Former Director of DEPTCOR, the correctional industry arm of the New Jersey Department of Corrections, Len is a past president of the Correctional Industries Association and remains actively involved in this national organization. Len has been a member of the Board of Directors of the New Jersey Chapter of the American Correctional Association and was a director in the Trenton Chapter of the Association of Government Accountants. Black also served at the request of the Governor on the board of the Commodities and Services Council which oversees work opportunities for blind and handicapped workshops in the state. In his capacity at Black Consulting Services, Black provides services to government and private sector organizations in Florida and New Jersey. Black is a graduate of Elizabethtown College, Elizabethtown, PA. He received his Masters Degree in Public Administration from Rutgers University in 1992. Margaret Black is a specialist in Talent Management and has 7+ years’ experience with SuccessFactors projects, including almost all current SuccessFactors modules. In addition, she has over fifteen years’ experience as a Training Project Manager and Senior Instructional Designer with a focus on SAP HR and Finance and other enterprise Learning and Performance technologies. 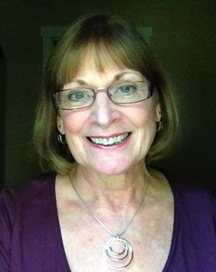 Margaret is certified as an Instructional Designer and Distance Learning Instructor. Aside from work, Margaret’s three grandchildren and gardening keep her quite busy! 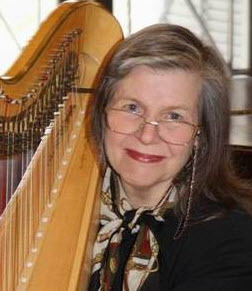 Margaret Sneddon is a professional harpist who studied for many years with Ruth Negri Armato of the New York Philharmonic Orchestra. In addition to a busy schedule of weddings, concerts, special events and teaching, Sneddon has played in the orchestra for numerous musical theater productions and is a frequent church soloist. For a number of years she was the on-board harp soloist for Radisson (now Regent) Seven Seas Cruise Lines and also played for Celebrity and the American Queen Steamboat Company. Sneddon is on the staff of Mozartina Musical Arts Conservatory and is the founder and director of the Hudson Harp Consort. 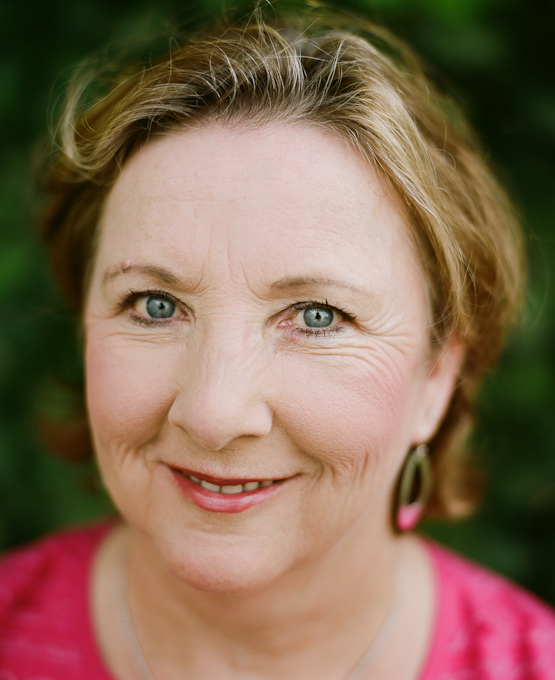 She is also a Certified Therapeutic Music Practitioner and has worked extensively with New York Presbyterian Hospital, Rosary Hill Cancer Care Center and Phelps Hospice. Prior to focusing on her career as a musician, Sneddon had a successful practice as a consultant for small businesses. Her service included setting up a bookkeeping system for her clients and training them in its use. Sneddon also prepared monthly profit and loss reports that analyzed strengths and identified areas of weakness. She prepared all business and personal taxes for her clients, and represented them at tax audits, business closeouts and sales. After expanding her business to 60 clients, Sneddon sold it so that she could direct her energy towards creating a successful musical career. Winifred "Freddie" Chisholm retired as Director of Membership from NJN Public Television & Radio in 2010. During her 30 years there, she produced, directed and coordinated a number of local and national productions and special events. A major highlight of her career was working as the Production and Technical Coordinator for the world satellite feed of Pope John Paul II's prayer service at Sacred Heart Cathedral in Newark. Freddie was Executive Producer for the NJN town meeting, WordUp: Stop the Violence, with panelists actor Edward James Olmos, Governor Christine Todd Whitman and public and law enforcement officials. An audience of over 400 high school students, as well as youths from New Jersey's juvenile detention system, participated in the town meeting. This forum gave everyone an opportunity to openly address the issue of youth violence and suggest solutions that would help to eliminate violent behavior. Freddie directed Act Against Violence, an NJN help-a-thon with live breaks designed to recruit New Jersey volunteers to help at-risk youth. She also served as co-producer of the panel discussion, Dialogue on Diversity, which put the spotlight on the sensitive issues of race and inter-group relations, examining the diverse mix of people that make up the population of New Jersey. The panel featured Senator Bill Bradley and diversity experts who interacted with an audience of 300 high school and college students. As Director of Membership in the development department, Freddie coordinated the fundraising program for individual and mid-level donations which included solicitation on-air, on-line, direct mail and special events. After retiring, Freddie moved to back to her "home state," Maine. Currently, she is volunteering with Marine Mammals of Maine (MMoME), a non-profit organization dedicated to the rescue and care of injured, sick and stranded marine animals. Recently retired, Barbara J. O’Hare, a graduate of Thomas Edison State College, was a Fiscal Manager with the New Jersey Department of the Treasury for 25 years. For 15 years she provided fiscal support for six Treasury divisions/agencies managing more than $500 million dollars annually. 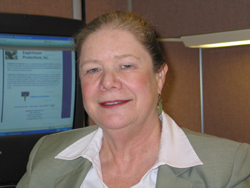 After legislative passage of the Open Public Records Act (OPRA) in July of 2002, Ms. O’Hare was chosen to manage the unit established by the Treasurer to provide access to all public records in the Department of the Treasury. In addition to managing Treasury’s Government Records Access Unit, she managed fiscal support for the Governor’s Office of Public Communication and the State Capitol Joint Management Commission. Moreover, for more than two decades, Ms. O’Hare managed fiscal support for all incoming and outgoing gubernatorial transition teams from Governor Jim Florio to Governor Chris Christie. 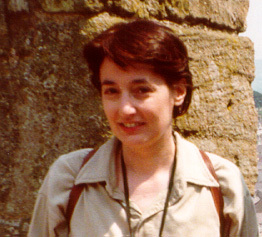 Over the course of her entire State career, Ms. O’Hare was a member and director in the Trenton Chapter of the Association of Government Accountants. Prior to her career with the State of New Jersey, she spent 22 years working in the private sector. Her professional experience in the private sector includes embroidery designer, owner/operator of an embroidery manufacturing company, business and transportation manager of a private school and comptroller of a career apparel wholesale enterprise.